Persons with Disabilities and Seniors to live, work and be active members of their communities. Our new suite of offices is located at 625 Commercial St., Suite 8. We are located near several other social/health/educational providers to better serve your needs. For more information, call 785-456-9915. Services are available to individuals living in Atchison, Doniphan and neighboring counties. 3Rivers is continuing this successful program available for students with disabilities who are Juniors and Seniors in High School. Pre-Employment Transition Services (Pre-ETS) are available to qualifying students and provides job exploration, counseling and other services to help young people prepare for employment and self-reliance. There are a limited number of slots open for this program so please contact us now. click here to email us or call (800) 555-3994. Want to learn more about advocacy? How to become involved in the local, state and federal politics? Serve as an officer of a civic organization? Three Rivers Inc. has training for that! Contact us to find out dates and times. We look forward to teaching you the skills and techniques. We encourage everyone to maintain contact with your elected officials to let them know your issues and concerns about bills they are addressing. If you would like more information or interested in attending an advocacy training contact our office, phone or email. We continue to collaborate with the regional Workforce center to increase knowledge about resources available. The "WORKREADY" certification program is proven successful and local employers are looking for this type of certification!. If you would like more information about this program and/or what assistance 3Rivers can provide as you pursue your employment goals, give us a call. (785) 456-9915 or 1-800-555-3994. Either way, check out some of our success stories in our newsletter! We are proud to highlight individuals pursuing their goals and achieving their dreams. Support 3Rivers by shopping at AmazonSmile. Three Rivers Inc. promotes self-reliance of individuals with disabilities through education, advocacy, training and support. 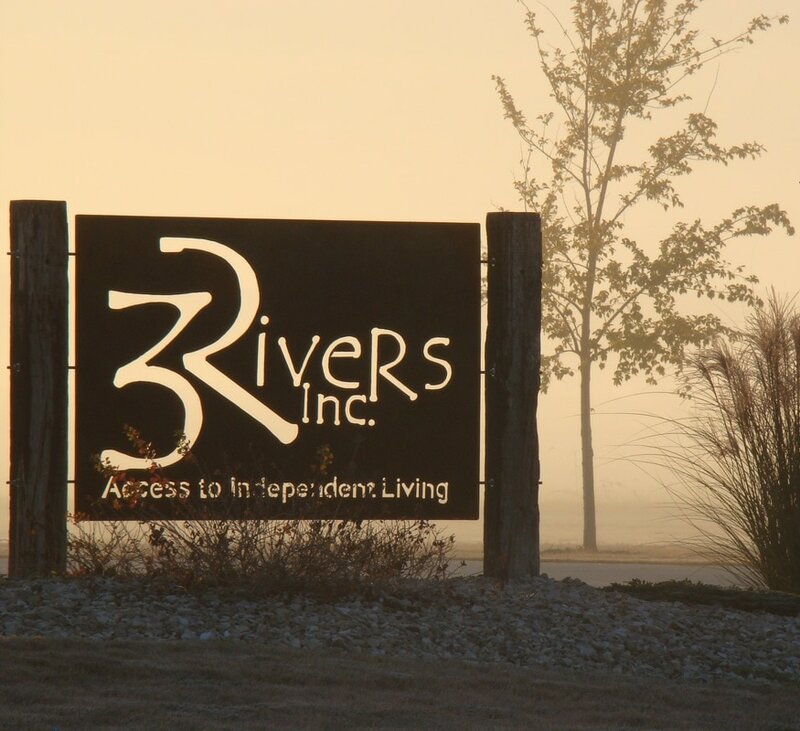 Three Rivers Inc. Center for Independent Living began as a volunteer organization and incorporated in 1986 serving Central Northeast Kansas as a nonprofit 501(c)(3). To maintain a consumer-driven focus, the majority of our staff and Board of Directors are persons with disabilities. ​Three Rivers is partially funded by grants from the Kansas Department of Rehabilitation Services, the U.S. Dept of Education Rehabilitation Services Administration and by fee-for-service programs. To find out how you can help support Three Rivers, contact us today! Video Produced by Rusty Earl (Wamego, KS) music licensed from Premiumbeat.com "For You" by Dan Phillipson. Thanks to the students and faculty sponsors at the University of Kansas Mechanical Engineering Department in Lawrence KS and to the community volunteers who designed and created the Spirit of Wamego train. For hours of operation contact the Wamego City Office or visit their website www.wamego.org.